This original old antique print / plate / view originates from a Dutch book of town and city views called: 'Het verheerlykt Nederland of Kabinet van hedendaagsche gezigten', Amsterdam, 1746 edition. The exact dates the plates were engraved vary. 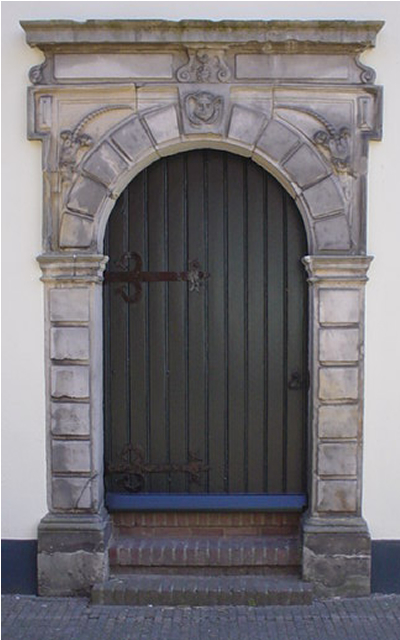 Borculo began as a settlement near where, at the time, the Berkel joined a smaller stream called the Grolse Slinge. In the 12th century a castle called the Hof van Borculo was built. A defensive wall surrounding the village was constructed in 1348. The village received city rights in 1375. The city wall is demolished, but parts of the defensive moat which was also used as a trading route over the Berkel to the city's along the Berkel (such as Zutphen), can still be found in Borculo. 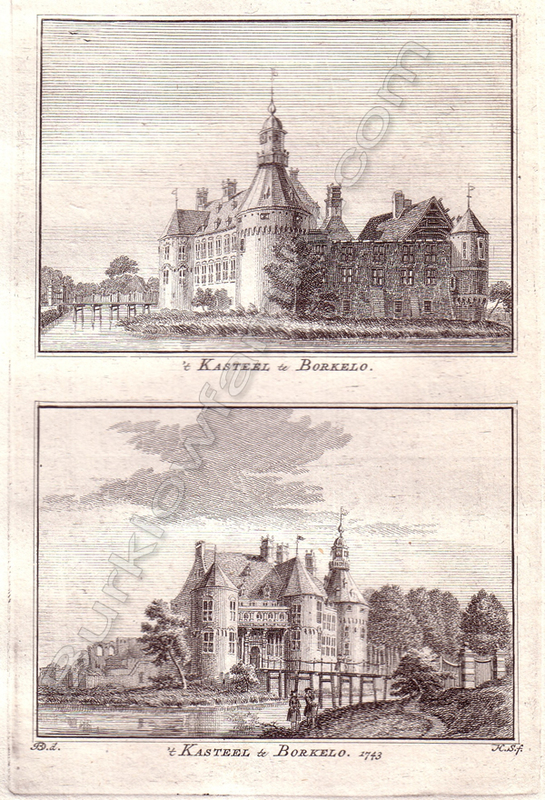 In 1777 the region came into the possession of Stadtholder William V, after which the castle was demolished and rebuilt. Most of the castle was demolished in 1869-1870, but parts of the keep still exist. These parts are hidden below the library and cultural centre, although they were visible to the public for several years. Due to wear, these parts were buried again. The Queen of the Netherlands is still Lady of Borculo. 1. Stenvert, R.; et al. (2000). Monumenten in Nederland: Gelderland. Zwolle: Waanders Uitgevers. pp. 117–118. ISBN 90-400-9406-3.